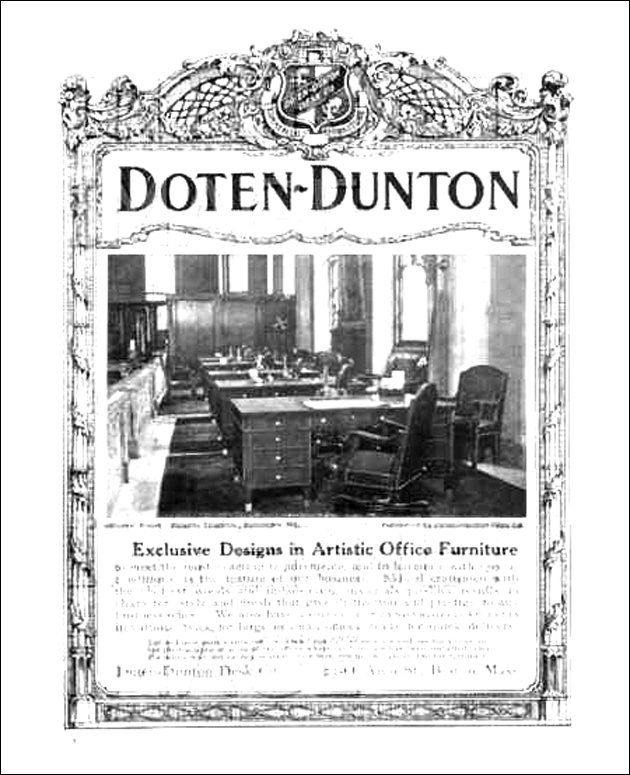 The Doten-Dunton Desk Company was founded in April of 1902 by Kervin R. Dunton in the City of Cambridge. The firm was specifically dedicated to the manufacture of distinctive, high-quality office furniture. While the growth of the company was initially slow, it increased in popularity after 1908 with the development of the sanitary base desk (a desk that sat on legs rather than full pedestals). Doten-Dunton became nationally known for its suites of period furniture named after New England towns (Stone, 1930).